Israel is heading for what could be its most severe confrontation with the United States, despite reassuring words from the Obama administration to the contrary. President Obama’s policies have led to a US retreat at all levels in the global arena, particularly in the Middle East where his disastrous policy of “engaging” with rogue states coincided with alienating, even abandoning, traditional US allies like Egypt and Saudi Arabia. His administration has also totally failed to mitigate the rampant bloodshed with hundreds of civilians being killed daily in Syria, Iraq and elsewhere in the Arab world. However, despite all evidence to the contrary, the administration persists in its mantra that the principal problem in the Middle East is the Palestinian-Israeli conflict and displays a determination to impose a settlement on Israelis and Palestinians. It does so– even setting aside the problem of Hamas – despite the fact that the undemocratic PA President Abbas whose term expired years ago, is neither willing nor has the authority to make any meaningful concessions to Israel. 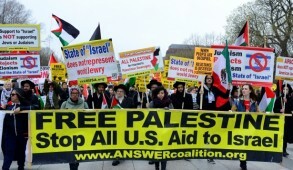 The US chooses to disregard to the extreme intransigency of the Palestinians and the massive ongoing incitement by the Palestinian Authority against Israel and continues to pressure the Israelis, their only regional democratic ally, to make additional unilateral concessions, many of which have long-term negative security implications for the future viability of the Jewish state. US Secretary of State, John Kerry, presents himself as a “friend” of Israel. Yet his offensive off the cuff remarks not only depict him as somewhat of a buffoon, but demonstrates that he now openly sides against Israel in the confrontation with the Palestinians. He utterly failed to act as an honest broker in his November 6 joint interview with Israel’s Channel 2 News and PA TV, when he targeted Israel for criticism and failed to even relate to Palestinian intransigency. He provocatively asked “whether it [Israel] wanted a third intifada” which he declared would eventuate if the talks failed. 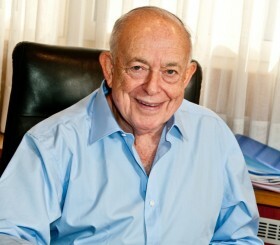 He warned that the Palestinians would “wind up with a leadership committed to violence”. Following a meeting in Bethlehem with President Abbas, brushing aside the venomous incitement to hatred manifested daily by the PA, Kerry stated unequivocally that “President Abbas is 100% committed to these talks”. He never even referred to the PA demand that Palestinian refugees and their 5 million descendants be given the right of return to Israel. He refused to confront the Palestinian leadership over their refusal to reconcile themselves with the reality of Israel as sovereign Jewish entity. There have been hints, subsequently denied, that if progress was not achieved by 2014, the US would propose bridging proposals – an ominous signal to Israel. Kerry also threatened that if Israel could not find an accommodation, the US would not be able to deter the rest of the world from imposing real sanctions against Israel. Such remarks, effectively guarantee Palestinian intransigence by declaring that after the talks collapse, the world will in any event seek to impose a solution on Israel and shall not blame the Palestinians for once again reverting to terrorism. And this is following Israel’s capitulation to intense American pressure resulting in the outrageous release of Palestinian mass murderers who were subsequently glorified by the Palestinians as heroes. These statements by Kerry parallel other negative vibes from the US: Obama’s failure to condemn Turkish Prime Minister Erdogan’s provocative anti-Semitic remarks and the repudiation of his commitment to set aside the confrontation with Israel after Netanyahu had been pressured to apologize to him; the US effort to divert attention from its cyber-attacks on the French government’s communications network by hinting that the Israeli Mossad were to blame; and, most damaging of all, despite deliberate Israeli silence over the issue, the formal US announcement that Israel was responsible for bombing the Syrian military base in which missiles en route to Hezbollah were located. That is not how one treats an ally. 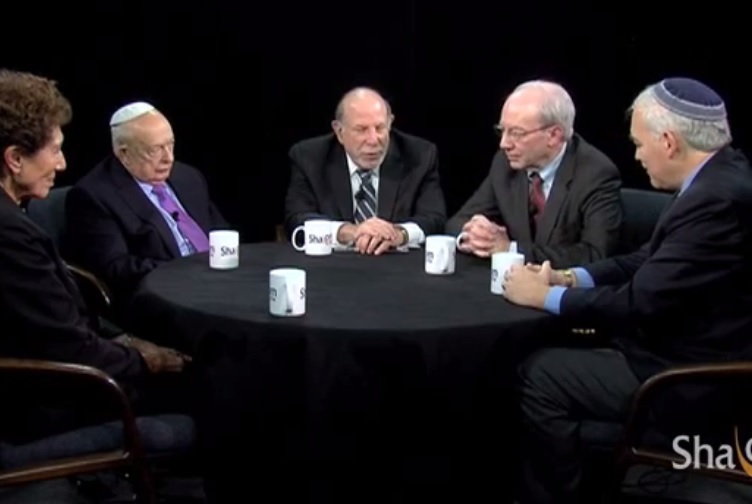 Over the past few months, there has been immense pressure directed at Israel and American Jews to ease up on Iran. Although accused of seeking to sabotage American diplomacy with the “moderate” President Hassan Rouhani, Netanyahu has never challenged the role of diplomacy. He merely reminded the Americans of the proven duplicity of the Iranians and Rouhani himself as he engages in protracted negotiations whilst proceeding to advance their nuclear status. On the basis of Obama’s recent track record, Israelis were increasingly skeptical as to the fulfillment of his repeated commitment to employ military force if necessary to prevent the Iranians from becoming a nuclear power. These concerns were confirmed when, despite repeated assurances by Kerry that “no deal is better than a bad deal”, the US and the Europeans (other than France) demonstrated a willingness despite all evidence to the contrary to ease the sanctions on the Iranians without receiving anything tangible in return. Clearly, the US Administration lied when it promised to brief Israelis in advance of any deal, not to surprise them and gave repeated reassurances that short of an agreement by the Iranians to end their nuclear objectives, no partial deal was contemplated. A shocked and distraught Netanyahu publicly admonished Kerry for making a “monumental mistake”, accusing him of providing the Iranians with “the deal of the century” and “in no way reducing their nuclear enrichment capability. Netanyahu stated that under such circumstances, Israel did not consider itself bound by any agreement between Teheran and the six world powers and “will do everything it considers necessary to defend itself and the security of its people”. There is of course the outside possibility that by the time the talks resume next week, Netanyahu’s warnings are heeded and a Munich like capitulation is averted. But we should be under no illusions. The next three months will be seriously challenging for Israel. 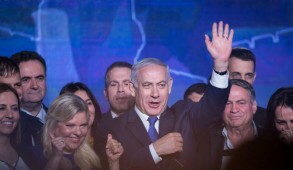 Prime Minister Netanyahu will need to marshal all his resources and seek to salvage what he can of the likely capitulation to the Iranian mullahs in a deal which in no way guarantees that that the centrifuges will not soon again resume spinning. In addition, Israel must resist American pressures to make further concessions to the Palestinians which may well have devastating repercussions our future security. 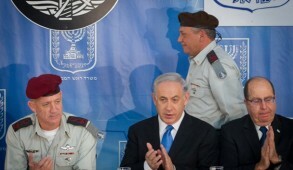 To confront these threats, it is imperative that the Prime Minister devises a strategic plan, engaging the broadest possible coalition providing a united front and work closely with the American Jewish community and other pro-Israel groups to orchestrate a major campaign to enlighten the American public and seek congressional support to rein in the appeasers. For American Jews, this will be a real test of their commitment to the security of the Jewish state. 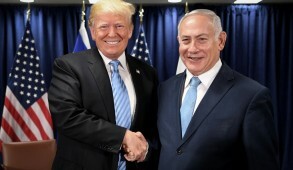 There have been conflicting reports that leading Jewish organizations and representatives of the administration had agreed to defer for two months efforts to intensify sanctions on Iran, but this was adamantly denied by AIPAC and AJC spokesmen. Regrettably, American Jews committed to the security of the Jewish state appear to be heading towards a direct confrontation with an administration willing to diplomatically abandon Israel and appease the most lethal global terrorist state. ADL head Abe Foxman predicted that Kerry’s “outrageous behavior” and his “chutzpa” of lecturing Israel about peace would unite the American Jewish community. The question is will they display the courage to stand up and be counted? An End to Jewish Life in the Diaspora?